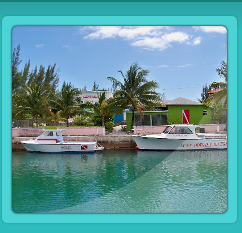 Sunn Odyssey Divers’ with their 2 dive boats docked just steps away from the retail shop. 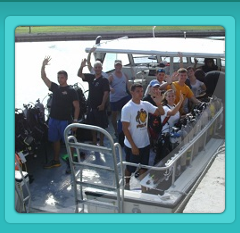 Enjoy more affordable and exciting diving with help from our experts based in freeport, GBI, Bahamas. 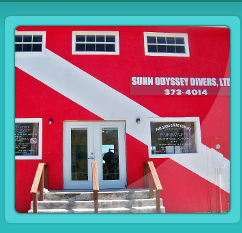 Sunn Odyssey Divers are your scuba diving and lodging experts that take you away from the "ordinary" and put you in the middle of the "extraordinary." Contact us now for fantastic dive and hotel packages at prices that won't break your budget. Whether you are a business or a leisure traveler, we at Sunn Odyssey Divers offer the perfect travel options. Our friendly staff is equipped with the state of the art tools that will make your travel planning very easy and effective. Contact us at 242-373-4014 / 866-OK2-DIVE to know more about our exclusive travel deals and packages. Steel Barge sitting upright on ocean floor. Penetration is easy through open deck. Aproximate lenght is 200 feet with average depth is 65 feet. Even though it is a new wreck (sunk one year ago) you will find an array of local fish; such as barracuda, amberjack, snappers, groupers and an occasional turtle or shark! This wreck has been changed a lot due to the past 3 hurricanes; Francis, Jeanne and Wilma! SILVER POINT 15' - 20' Novice This is one of the most beautiful shallow reefs that can be enjoyed by divers with cameras as well as snorklers! There you will find tall Staghorn, Elkhorn, Brain and Star coral with schools of grunts, snappers, parrotfish, angelfish, as well as many other types of marine life. You never know what you are going to see on this site. THEO'S WRECK 70' - 105'Experienced - Our most famous wreck on Grand Bahama. Perched on its port side with its stern looming over the continental shelf! One is given the feeling of looking into an abyss! This wreck was sunk in 1982. If you are lucky, you may spot the 500 lb Jew fish that can sometimes be seen lurking around the deeper side of the wreck. Nicknamed tunnels because of the high coral formations that run perpendicular to shoreline with overlapping ceilings; thus the name Pygmy Caves or Tunnels. In July 2001, a whale shark was sited in which our divers were able to hitch a wild ; wonderful ride! Other marine life seen there are schools of horse eye Jacks, snappers large groupers, spotted eagle rays and sharks! If you're looking for a lush Garden of Soft healthy coral, this site should be visited. Stingrays, large snappers, grunts, surrounded by scattered and land coral. Only 10 minutes from Sunn Odyssey Divers dock. Divers swim with Caribbean reef sharks and interact with them in their natural state! The sharks are four to eight feet and at times can be too numerous to count. The location is near an old Recompression Chamber with coral reef surrounding it. 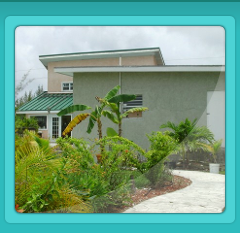 There are also large green moray eels, groupers, Hogfish and Angel fish. There is the occasional nurse or hammerhead shark coming around to find out just what is going on! Known for lots of green moray in the '70s, some can still be seen, as well as sharks. Very good selection of marine life. The coral travels perpendicular to the shore, growing up to 10 ft. high, with heather coral in this area. Slopping coral formations with lots of marine life. It is a chimney like formed hole from top to bottom, great swim through. Groupers, Snappers, Grunts, and the occasional hammerhead may show up. More fish than you can count, more color than you can imagine. A photographers' dream come true! Swim with marine life to many to name! Dolphins have been know to venture on the deeper sections of this reef.